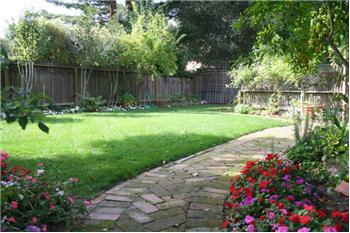 Atherton is located on the peninsula nestled between the San Francisco Bay and the Pacific Ocean. The Town begins in the flatlands then moves westward to the hills, until it reaches Highway 280. 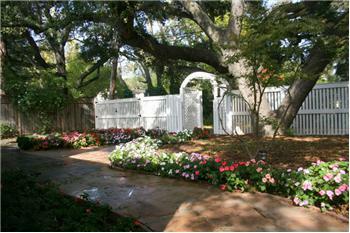 Beautiful foliage, elegant gardens and heritage trees dominate this quiet small community. The Town of Atherton desires, insofar as possible, to preserve its character as a scenic, rural, thickly-wooded, residential area, with abundant open space with streets designed primarily as scenic routes rather than for speed of travel. Atherton is still a "plain of oaks". 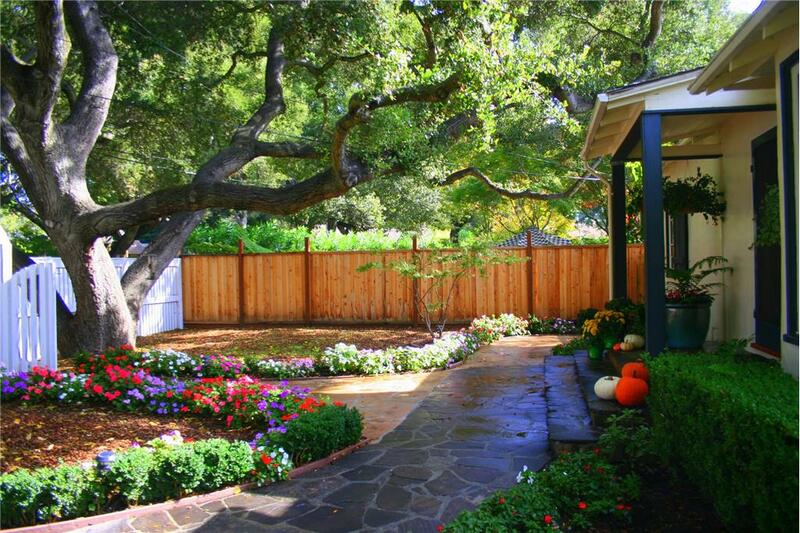 Native live oaks, white oaks, bay trees, redwood trees, cedars, pines and other ornamental trees cover the six square miles of land. The Town is bordered by areas of Menlo Park, Redwood City, Woodside, and unincorporated San Mateo County. There are 49 miles of roads in Atherton and approximately 2502 households with no industry or business establishment within the town limits. In 1923, Menlo Park wished to incorporate its lands to include the Fair Oaks lands. During a meeting of the representatives of the two communities, it became clear to the Fair Oaks property owners that in order to maintain their community as a strictly residential area; they would have to incorporate separately. Both groups rushed to Sacramento but the Fair Oaks committee arrived first. It was at that time they realized that they could not keep the name Fair Oaks that was already the name of a Town by Sacramento. It was decided to honor Faxton Dean Atherton who had been one of the first property owners in the south peninsula and name the Town for him. Atherton was incorporated on September 12, 1923. Faxon D Atherton, a native of Massachusetts had spent several years in Chile and Hawaii as a trader in tallow, hides and merchandise. His friend and business associate, Thomas Lark had written to him "there is education available for your children and a dignity of living on landed estates down the San Francisco peninsula (that is) convenient and accessible." Atherton purchased 640 acres for ten dollars an acre in 1860. His home, "Valparaiso Park", was built several years later. It was simple in design and ample for his family of seven children. Thomas H. Selby purchased 420 acres. A successful businessman, he served as mayor of San Francisco. His country estate was called "Almendral". John T. Doyle, an attorney, built a home off Middlefield Road, "Ringwood". James C. Flood purchased successive parcels and built an extravagant mansion, "Linden Towers". This is now Lindenwood. The Joseph A Donohoe estate was "Holmgrove" and is now the site of Menlo Atherton High School. 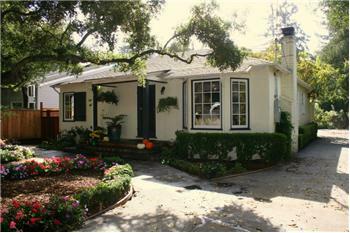 James Thomas Watkins' home was "Fair Oaks" and after two moves, stands restored today on Alajandra Avenue. The government of our Town was established with Edward E. Eyre as the first mayor. In 1928, the residents voted to build a Town Hall, which stands today. The early residents wanted a Town that would be divided into large parcels and would not contain businesses. The author Gertrude H. Atherton, daughter-in-law to Faxon D. Atherton wrote in "The Californians", "Menlo Park (Atherton) has been cut up into country places for what might be termed the 'old families of San Francisco', the eight or ten families who owned the haughty precinct were as exclusive, as conservative, as any group of ancient country families in Europe". A few of the large land holdings were subdivided during the 1920's and 1930's, James Flood estate in 1938. In the 1940's and 1950's over eighty subdivisions were recorded. With the minimum size of one acre, the era of the large estates was over. Atherton is still a "plain of oaks". Native live oaks, white oaks, bays, redwoods, cedars, pines and other ornamental trees cover the six square miles of Town. There are approximately 50 miles of roads. The population is around 7500 with approximately 2500 households. There are a number of active community organizations; the Atherton Heritage Association, the Atherton Arts Committee, the Atherton Tree Committee, the Friends of the Atherton Community Library, the Holbrook-Palmer Park Foundation, the Atherton Dames, the Police Task force, and the Atherton Civic Interest League. There are also Home Owner's Associations. The Menlo Circus Club is a private club with stables and a riding ring located within the Town. There are eleven schools within Atherton's boundaries, both private and public. The beginning statement of the Town's General Plan says "the Town of Atherton desires, insofar as possible, to preserve its character as a scenic, rural, thickly-wooded, residential area with abundant open space and with streets designed primarily as scenic routes rather than for speed of travel." 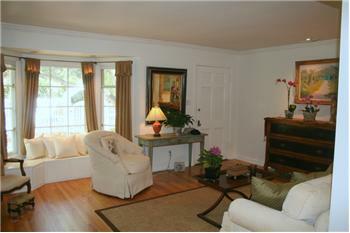 Please send me more information about the property: "SOLD ! 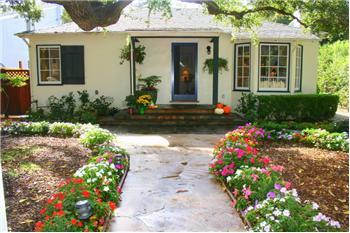 Gorgeous Carmel Cottage in West Atherton"